NEW YORK, April 26, 2011 — /PRNewswire/ — ForeclosureWarehouse.com recently reported that in April, the top five states with more foreclosure opportunities were California, Florida, Colorado, Arizona, and Georgia. From March to April, only Florida saw a decrease at -12.07 percent in foreclosures. California foreclosures increased 4.95 percent, Colorado was up 13.98 percent, Arizona was up 11.96 percent, and Georgia was up 7.22 percent. Borrowers lost 1.67 million homes in 2010 as some 27 percent of U.S. mortgage holders were underwater (owed more than their house was worth) by the end of 2010. 2.9 million homes received foreclosure filings in 2010, and there would have been more if not for court interference after it was discovered that some lenders hired inexperienced people to process foreclosures without following procedures and verification of facts (robo-signing). More than 1.8 million homes are projected to be taken this year in foreclosures, short sales and voluntary dispossessions, paving the way for astute investors to purchase homes in desirable areas for a steep discount on their actual value. Housing will remain weak in the next few months amid the high number of houses in foreclosure. Demand for homes is likely to remain quiet as unemployment of almost 9 percent continues to plague the labor market and credit market conditions remain firm. The outlook of more foreclosures looming, declining prices of excellent homes in prime neighborhoods, and an unemployment rate expected to average about 8.7 percent this year means a housing recovery may take years to evolve. 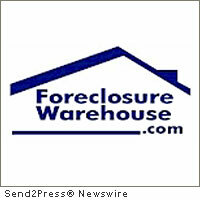 Foreclosure filings will climb about 20 percent, reaching a peak for the housing crisis in 2011. Even with all the government intervention and assistance efforts, the U.S. housing market remains under pressure from a poor employment outlook and oversupply of houses. The national political climate for budget tightening means homeowner assistance programs will lose support and no new programs will be started. Recent rumblings in the markets about inflation do not seem to affect the housing industry. There is a glut of distressed properties on the market. The average rate on a 30-year fixed loan increased to 4.98 percent the week ended April 8; still an excellent rate for purchasing a home. This is all good news for the investor or home buyer. This is an ideal time to buy a home if an individual is in a good position to purchase a house; the buyer has job security, has a credit score high enough to be approved for a loan, has enough money for a down payment (usually 20 percent), and is ready to establish roots in a community, for example. A large part of the buyers’ market will continue to be short sales and foreclosure sales as bargain-hunting investors and borrowers continue to find value in short sale and foreclosed properties, choosing these properties over traditional sales. Lenders will increase the number of short sale and foreclosures properties they release to the market in anticipation of the settlement of the government “robo-signing” lawsuit furthering the opportunities for buyers to purchase at substantial price discounts. After the government receives the $25 billion settlement from the financial institutions in trouble for the robo-signing debacle, there will not be nearly enough for the estimated $800 billion necessary to support all the underwater mortgages in the U.S. The rising price of gasoline and other factors may prevent many potential buyers from venturing into the housing market. Oversupply together with weak demand for homes will likely keep housing prices low and declining for the remainder of 2011.